Yellowfin is a modern BI platform that does not isolate BI content creation from consumption. Yellowfin leads the industry in user adoption with a powerful 'Business Workflow', providing a clear framework for business users and data experts in your organization to connect, collaborate and produce better business insights. Empower every BI user in your organization to actively participate in the entire data-driven decision-making process. 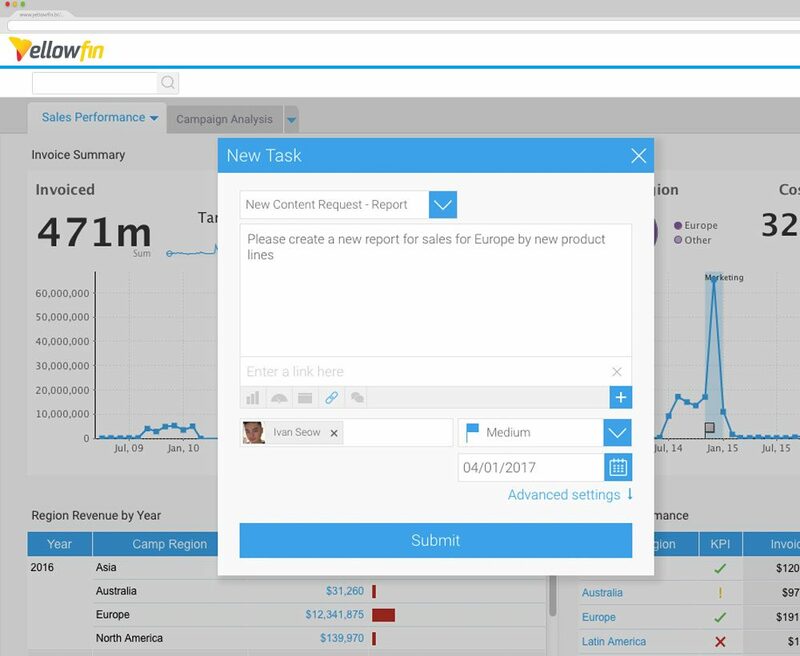 Rather than relying on email trails to get stuff done, Yellowfin’s Task Management system gives anyone the power to raise and assign tasks from anywhere inside your BI platform. Easily request, track and review content or analysis. Now, business users have visibility over what’s being worked on, while data analysts benefit from clear requirements and prioritization. 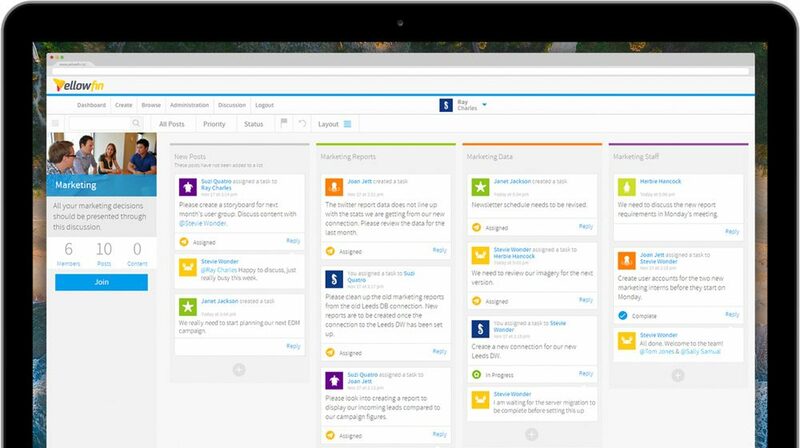 Manage the entire lifecycle of your BI projects with Yellowfin’s Kanban-style Discussion Boards. Brainstorm ideas, organize tasks and manage projects – all from within your BI platform. When users know your data is wrong, they stop using your BI platform. So, trust in your data and BI platform is critical. 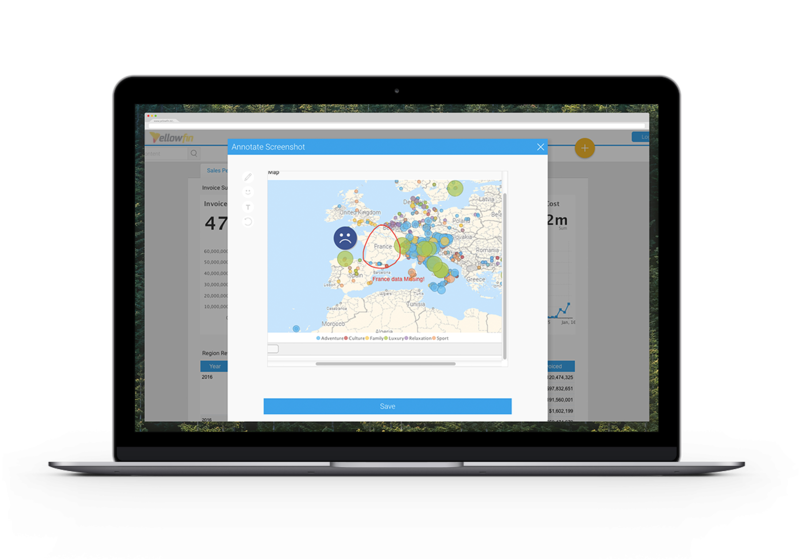 Create a feedback loop that empowers your entire organization to flag data quality issues with in-platform screenshots and annotations. Ensure your data and analytic content is more trusted than ever.